I will try and update the calendar soon. I should be making this one with any luck guys!! 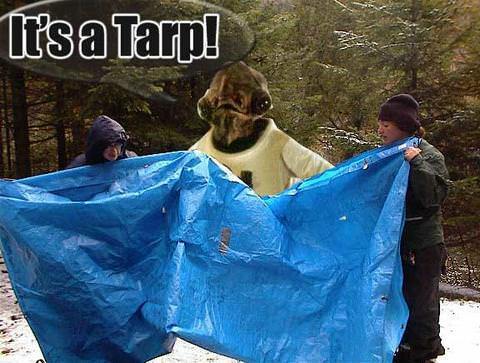 And this is a Tarp! Keep working on those back tucks!! Socialize / Re: Name something awesome you did today! Stay on topic. Today so far I have rewatched Parkour Prject: Pilgrimage. Later may be going to an MMA class and leading the work out and warm up traceur style. Parkour And Freerunning / Re: Can't find anywhere to train? A one foot high wall?!! OMG I wanna play. Don't limit your mind find every way you can go over said wall. Or go to an open field and drill broad jumps. A parking lot and drill precision's, rolls, and sprints. You are only as limited in your area as you are limited in your creativity. It may not be the most fun or easiest of things to do. But you will still be moving and still growing. It will also teach you to be humble which is great for teaching later. Then you can take any one and find something they can do. No matter where your at because you did it in a place so removed from a "normal" training area. ... when your drinking and still having to moderate a public forum. Other Items of Note: Four Wheels tires and rims included. 8 Bags and one humongous tarp. Housing? Contact Info? Aero forum link? I don't know if i would be able to afford the proposed rent. Shoot me your email and I will get you in touch with Mark and the guys down there. And as soon as they have the details I am sure they will get them to us. But I will ask them soonish about it.